Science Centre Singapore is dedicated to the promotion of science and technology. As a leading Science Centre in the region, it has twelve exhibition galleries with more than 1,000 interactive exhibits. Science Centre Singapore is moving towards actively promoting STEM education through several STEM-related initiatives. These include workshops, lesson materials and exhibits. Ignite students’ passion for Science, Technology, Engineering and Mathematics (STEM) so as to inspire them to take up STEM-related courses. Raise students’ aspirations in pursuing STEM careers by exposing them the real-world industries. Uplift professional STEM career images. Marshall Cavendish Education (MCE) is a global educational publisher providing resources for the teaching and learning of Mathematics, Science, English and Chinese. We specialise in curriculum development and integration and have developed textbooks for places such as the US, Singapore and Hong Kong. Marshall Cavendish Education Hong Kong (MCEHK) strives to develop textbooks and supplementary materials that are up-to-date and of high qualities. Together with our top-notch quality services, we aim to facilitate learners to expand their knowledge and skills. To meet the challenges of the evolving educational landscape and respond to schools’ growing needs, we work to develop textbooks and supplementary materials that align closely with the local curricula. Our resources cater for the needs of teachers and learners. In recent years, we have been keen to explore the China and Southeast Asian markets, hoping to contribute to educating the next generation in Asia. 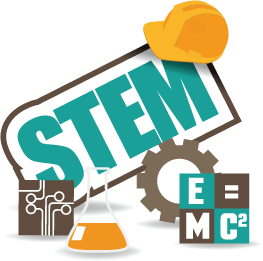 STEM education involves various aspects of knowledge. These aspects of knowledge are closely related to our daily life. Consequently, changes in STEM-related knowledge occur from to time depending on global development. In order to help students develop lifelong learning skills, our school focuses on nurturing students’ spirit of inquiry by letting them learn through research and experiments. In the learning process, our teachers act as facilitators and let students use their creativity to solve the problems. STEM is like living water. It revitalises education and makes learning more interesting, more meaningful and more efficient! The spirit of STEM Education is an attitude towards life which makes learning meaningful, teaching joyful, studying practical and living substantial. STEM Education lays the foundation for solving Global Grand Challenges for Today and the Future! Teachers are expecting for quality STEM Education support for a long time. MC Education sure be one of those at the top that can provide. Through organizing and supporting different types of seminars, workshops and visits, and also the good relationship with different STEM related organizations, and also their professionalism, I truly recommend the adopting to teaching and learning. Making use of our acquired knowledge and creativity to conduct scientific inquiry so as to help students develop an interest in science and exploring our world is in the spirit of scientific inquiry of STEM education. Please sign up to our ‘Quality circle’ for the most updated information and get the best services!